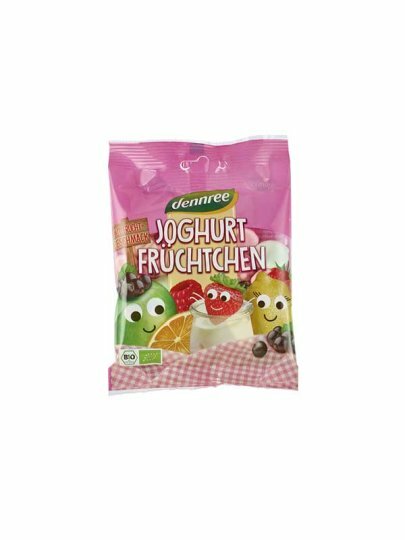 Healthy sweetening variant in the form of gummy candies with yogurt of organic origin. glucose syrup *, sugar *, pork gelatin *, skimmed MILK powder * 4%, JOGURT of skimmed MILK powder * 1%, acidity regulator: citric acid, lemon flavored natural, orange aroma with other aromas, basil juice from concentrate *, aroma of curcuma *, algae extract *, coating agent: carnauba wax *. It contains milk and may contain traces of corn.